Not all solo travellers travel alone by choice. I’ve talked to enough people and received enough emails by now to realize that although a lot of people make the decision to travel solo at some point, most would still like company, at least some of the time. Previously, I wrote about what to look for when trying to pick the right travel companion. Today I’ll talk about “where” you can go look for possible travel buddies. Don’t worry, you won’t even have to get up as all these places are accessible from your computer or smartphone. I met my good friend Lisa 13 years ago through a now defunct website called VirtualTourist. From finding somebody to have coffee with at your destination, to a local giving you an afternoon tour of their city, to someone you can join for an entire trip, here are 12 ways to find travel buddies online, through websites, apps, and social media. 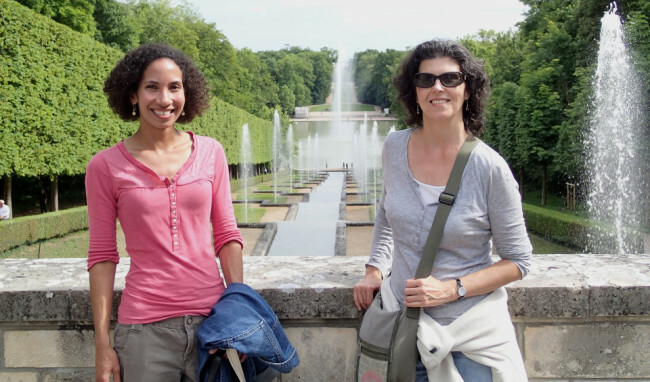 Meeting a travel friend online doesn’t have to be daunting. GAFFL is a website that connects travellers with similar itineraries to share costs and experiences. Using GAFFL, you can find travel buddies for road trips, adventure travel, and exploring cities around the world. You can join trips started by other travellers or start your own, invite others, and control who joins you. You can also use the “Discover” feature to find travellers and locals at a particular location, and message them to connect instantly. To ensure safety, the site offers a 4-step verification process which includes ID verification. Reviewing your travel partners at the end of the trip provides additional social proof and trustworthiness. Another feature of the app lets travel buddies split costs before, during or after the trip, by allowing them to post bills and pay into the system. The money is only remitted after the trip starts. You first need to sign up to see trip descriptions, but clicking the tiny “Help” link in the bottom menu provides details on how the platform works. Picture by Mitch. 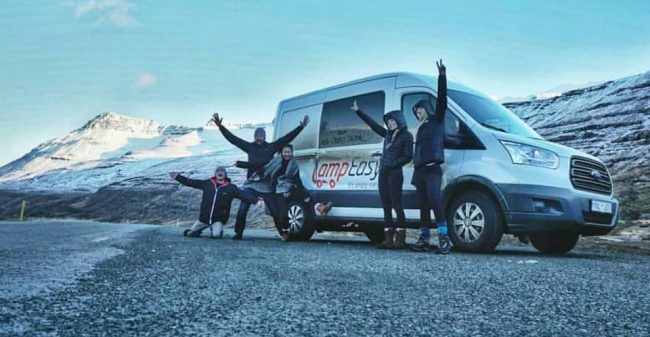 GAFFL users doing a road trip in Iceland. TripTogether is a free social platform (both an app and a website) built on top of a huge database of over a million registered travellers. It presents a simple way to find travel partners, or just local people to meet up with at your destination. Sign up to create your profile, and search for your perfect travel buddy. You can filter the results by age, gender, destination and travel dates. Common interests are highlighted. Once you find someone you like, you can simply send them a message through the system and take it from there. The basic version is free, but upgrading to a paid membership allows your profile to rank higher in the search results. Trip Giraffe lets you create a trip and wait for someone to join up, or find an existing one that somebody else created. You can also find other travellers to meet up with at home or abroad. A typical trip listing includes the destination, dates, style of travel (backpacking, city break, beach, other), budget, gender of companion sought, and whether the room will be shared or not. Of course you’ll see the age, gender, and photo of the poster. The site also features a blog section where travellers can contribute tips and stories. Once again you need to build a profile, including your travel interests and travel style. You’re even invited to get verified for added safety. The app presents you with other profiles that match yours, and you can send them “friend requests”. Once someone accepts your request, you can then communicate with her. Of course you’re always free to search the entire database using filters such as distance, interests, etc. You can also create “events”, either an entire trip or a meetup, and invite others to join. Or you can ask to join an existing event. The name says it all, and 5W has been around since 1984, if you can believe it! It started in the UK, and not surprisingly, it seems to attract a somewhat older crowd. From the homepage of Women Welcome Welcome WorldWide / Image courtesy of 5W. 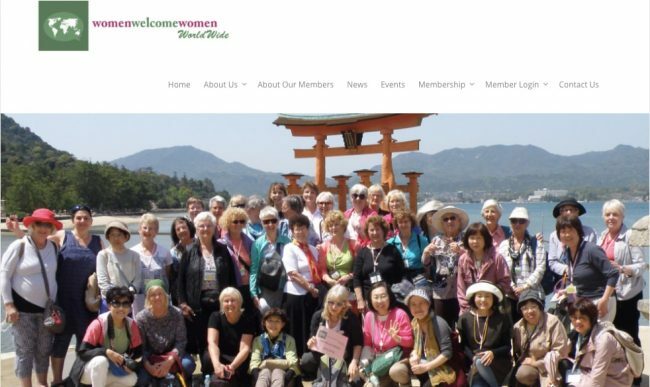 The goal of this non-profit organization is to establish a network of women all over the world who can welcome each other, offer hospitality, guidance, and companionship to foster friendship and understanding around the world. I can’t believe I haven’t heard about them before. They sound like a combination of Servas and Couchsurfing blended together! You have to fill out an application form in order to receive the member list. You then get in touch with members in the cities and countries that interest you. Besides the one-on-one meetings, you can attend events such as “gatherings” or smaller less formal get-togethers where several members and visitors in a certain area agree to meet. The Global Greeter Network is a non-profit organization that provides a platform for cities around the world to start their own greeter program. Currently, over 150 cities are participating, offering free personal walking tours given by volunteers. These people are passionate about their city and love to help visitors discover it. 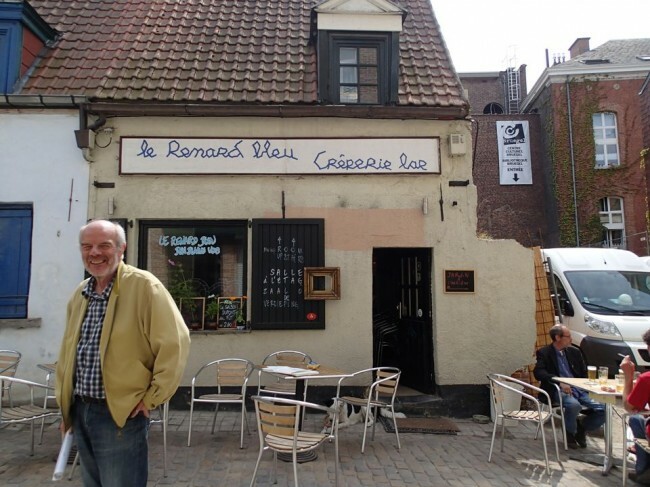 I tried it in Brussels and quite enjoyed it. You need to fill up a form with your dates and interests and they will match you with a volunteer. This process can take a few weeks, so you need to plan in advance. You will be told where to meet your guide/new friend and walking tours typically last two to three hours. No money changes hands, but you’re expected to pay for your own drinks or food (if any) along the way. Other cities also run their own volunteer walks, like Dublin with its City of a Thousand Welcomes program (which I tried and can vouch for). Thorn Tree is probably the best and largest collection of travel forums out there. You can expect responses to most queries within a few hours. There is a Travel Companions forum under the Travel buddies & for sale category. The Interests category also has tons of special interest forums including Older Travellers and Travellers with disabilities. The Connecting Solo Travel Network Google group is all about single and solo travel. Post and reply to messages relating to single-friendly travel deals, travel companion ads, advice sharing, and hospitality exchanges. You have to ask to join, but unless you’re a spammer, you’ll get in. (I know this because I’m the moderator – I took over the group from the original owner when she retired!) The group has over 1900 active members, mostly older solo travellers. Many of the requests for travel companions are about finding someone to share a room with on a tour, or a cabin on a cruise. Since Ventoura seems to have gone the way of the dodo, this section contains only one app at the moment, but this should change soon! Travello is a free app which bills itself as “a social network for travellers”. Its main goal is to help you meet other travellers with similar interests who are near you, whether you’re currently travelling or not. Start by building a profile on the app, then connecting your Instagram account and inviting your Facebook friends. Then add your trip itinerary to see who will be there at the same time. Filter the results by age, gender, nationality or traveller type, and message people directly in the app. You are also invited to post your own photos, questions, or tips. There are special interest groups (such as solo travellers, female travellers, travel, photographers, etc.) that you can join to interact with their members. In addition, an “explore” tab gives you access to location-based travel deals, nearby meetups, and free WiFi spots. Their latest feature is an interactive travel map showing things to do, accommodation, and more. From the homepage of Travello.com / Image courtesy of Travello. The feeling I get from looking at this website is that it’s mostly aimed at a young crowd, but there are no restrictions. If more older people join then we can create our own community of older solo folks! Using social media to meet people doesn’t require any downloads, applications or verifications. If you’re active on either Facebook or Twitter, you can meet other travellers that way too and perhaps even find a travel buddy! If you’re active on Twitter and follow people in the destinations where you want to travel, engage with them, and let them know how excited you are to visit their hometown, you may be invited to meet up! I met Tiffany for lunch in Halifax after “meeting” her on Twitter! This has happened to me a couple of times already. Even if you just meet that person for lunch or an afternoon walk, you not only get company but probably some insider tips as well. You may even be put in touch with some other people in town. Alternatively, if you want instant travel buddies, you could join an organized tour. TourRadar is a platform that lets you search and compare thousands of multi-day tours from 600+ carefully screened operators, while guaranteeing lowest prices. Read my post about how to use TourRadar to find the best group tour. If you’ve tried some of these apps or sites, please let us know what you think in the comments. Or if you know of other apps, websites, or groups that help you meet people abroad, let us know as well. Enjoyed this article? Sign up for my newsletter or “Like” my Facebook page to be notified of new posts. 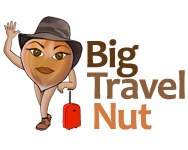 If this article has helped you, please consider donating a few dollars to the BigTravelNut fund to help me continue my work. Awesome article, thank you! I have been traveling solo for most of the past 3 years and there have been many times when I would have benefited from a connection in another country! Have already signed up for three of these groups! Cool! I would be interested to hear your impressions after you’ve used them for a while. Great issue! I am interested in the travel apps you listed as I travel solo as well as being a 2 wheeled nomad – haha. Safe travels on your upcoming adventures. Hi Sheri-Lynne! A 2-wheeled nomad… that would be a cyclist? 🙂 Let us know what you think if you end up trying one of those apps. Hi Marie, this is a great list. I’ve actually used a couple of these to find a travel buddies when I was touring South America. Just wondering if I could add to the list. My partner and I are avid travelers and launched 43km.co back in 2016 as a collection of itineraries we wrote to places we’ve been. In 2017 we added a travel buddies feature which has gotten some really good feedback and results. Check us out at 43km.co/companions and let me know what you think. Great Idea’s you have shared for solo travelers. Now we have thousands of options to find solo travelers and groups, which make our journey easy on solo trips. I think Facebook Groups idea is much better to find solo traveler because here we can use many filters to finding a right person for trip and also know the right information about the background of that person. 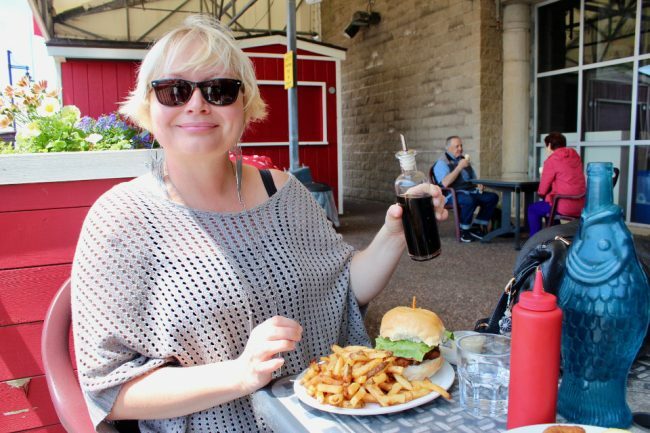 I have met many people on my travels and here in Montreal through Lonely Planet, Facebook group Solo Women Travelers, Travelerspoint and Couchsurfing (we met at a club accidentally in Cuba). May I also add meetup.com. I go with them all the time here in Montreal but used them in Ecuador and will use them amongst some of the ones you listed here on my trip to SEA. Is Tour Radar a reliable platform? TourRadar was founded in Australia in 2010. They now have offices in Brisbane, Vienna, and Toronto. The Managing Director for North America is a former VP from Intrepid Travel. Seems pretty legitimate and reliable to me! More info here: https://en.wikipedia.org/wiki/TourRadar. Beautiful Write. Wonderful article, I appreciate your thoughts. This is so helpful and TRUE! This blog really speaks to me! Making Friends is one of the Most Important Things. Sidekiker app is also a good app to find new friends nearby you. Thanks for sharing it with us.